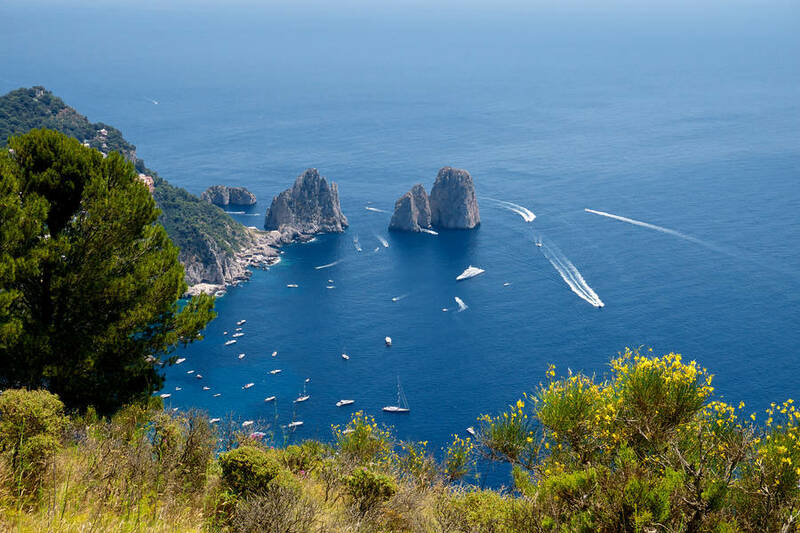 Getting there: by bus from Marina Grande or Capri (timetable), Piazza Vittoria stop, and chairlift. Children under 7 ride free on their parent's lap. The chairs on the chairlift are made for a single passenger. There is a safety bar, but it is easily lifted, so we do not recommend riding with very young or very active children on your lap. At 589 meters above sea level, Monte Solaro is the highest and most panoramic point on the island of Capri. 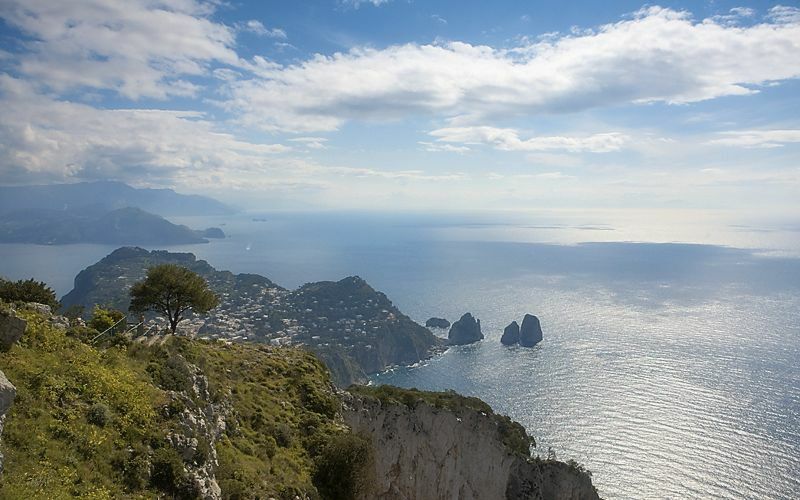 From its heights, visitors enjoy sweeping views over the Faraglioni rock formations and the center of the town of Capri, and as far afield as the Sorrento Peninsula, the Galli islands, and the whole of the Gulf of Naples. 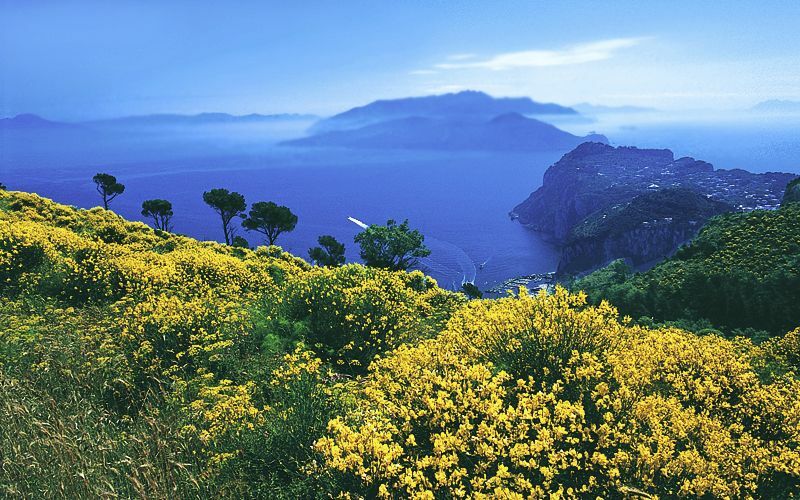 On clear days, you can catch a glipse of the Gulf of Salerno. 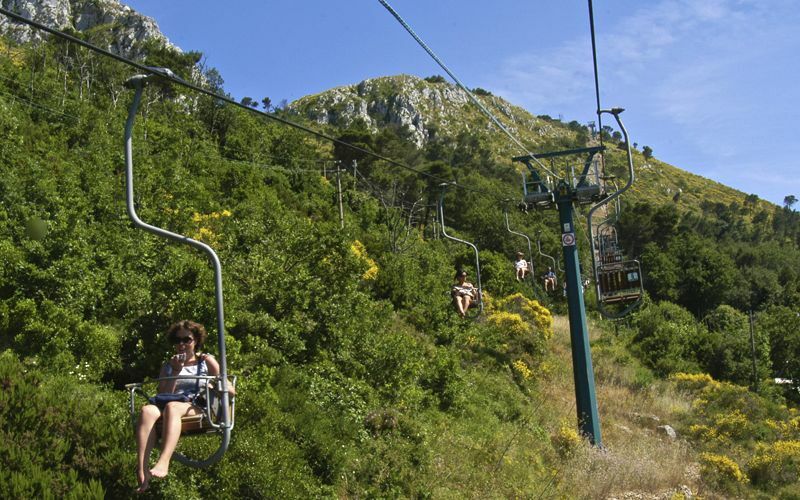 By chairlift: the chairlift departs from Piazza Vittoria and reaches the summit in 12 minutes. It is not particularly high, so can be taken by those who are afraid of heights. That said, is not recommended for children. 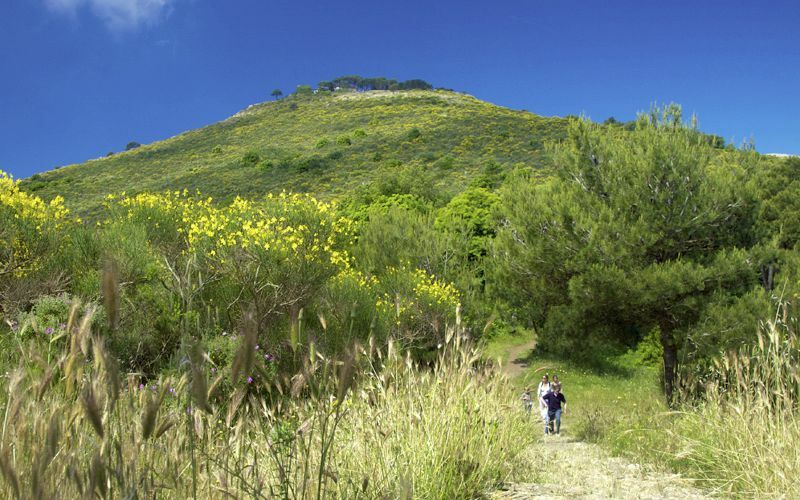 By foot: the trail begins at Piazza della Pace in Anacapri (behind the cemetary) and is, obviously, an uphill climb. However, it is well marked and not overly strenuous, and can be completed in about an hour. 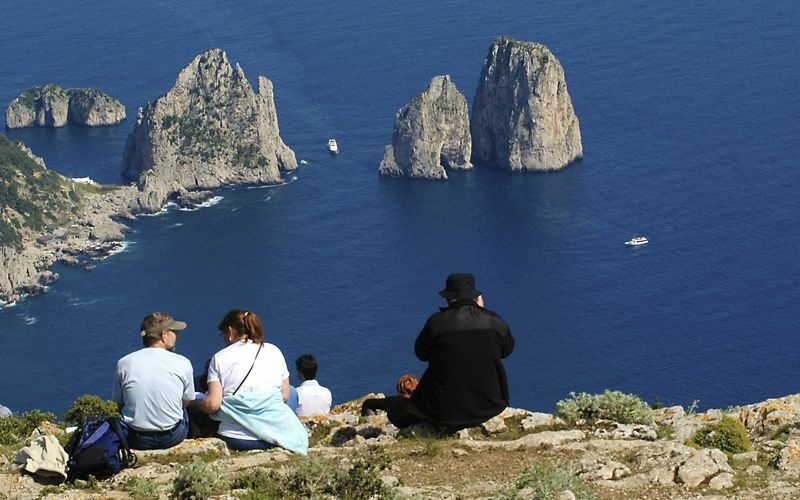 Once you reach the peak, you can relax with a drink on the rocking chairs at the La Canzone del Cielo cafè or simply stroll along the scenic overlook and snap pictures. 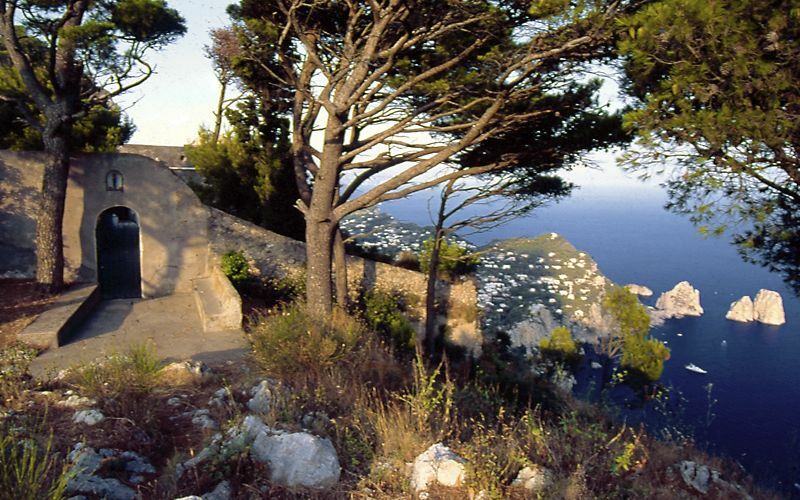 Once you've had your fill of the beautiful view, you can descend with the chair lift or on foot, stopping for a visit at the Cetrella Hermitage. If you decide to hike down Mount Solaro, you will come across the arrow indicating the Cetrella valley. 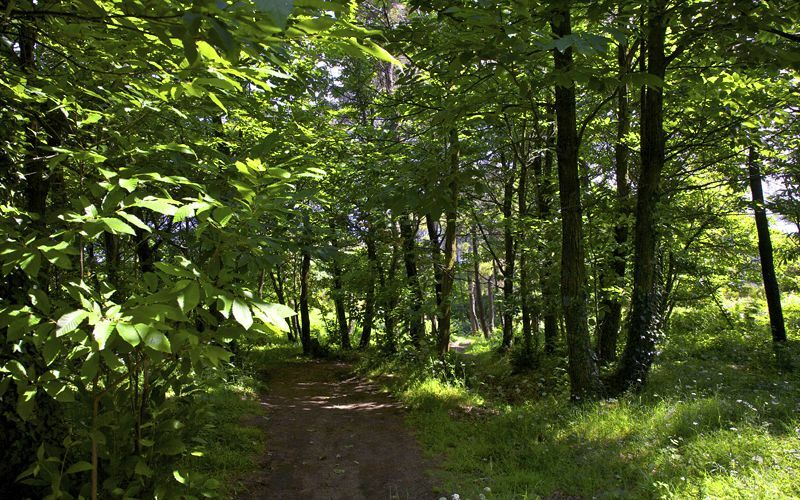 Together with its lush vegetation, the area known as Cetrella is famous for the Church of Santa Maria, so tiny that it can easily be overlooked among the pines, oaks, and blooming orchids. 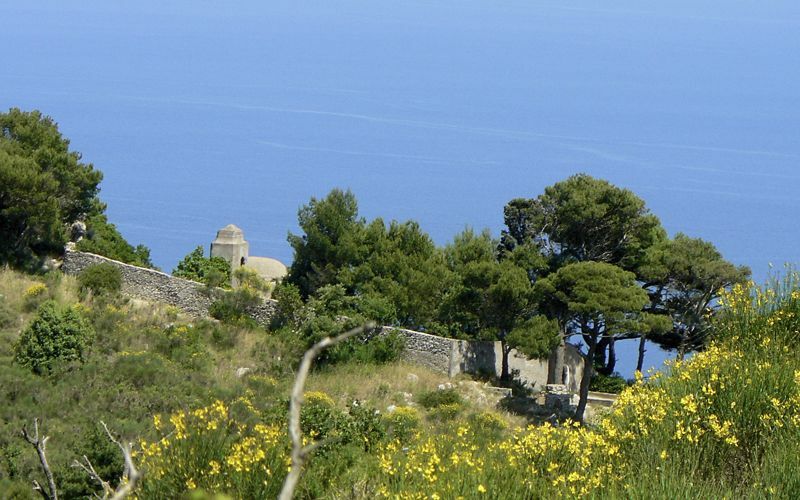 The hermitage of Santa Maria di Cetrella dates back to the 16th century and is divided into two naves, each with its own altar, and a number of monastic cells, and is home to a depiction of the Virgin Mary particularly beloved by the local sailors and, in the past, coral divers. 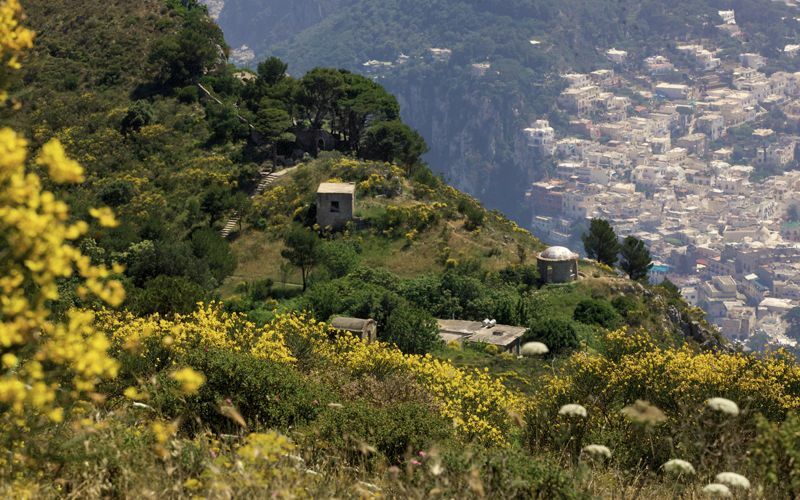 Along the route towards the church of Cetrella - a place of spiritual retreat for Domenican and Franciscan monks centuries ago - you can view the craggy slopes of Mount Cappello, topped by an iron cross which can be seen from various vantage points around Anacapri, and the former home of the British writer Compton Mackenzie, one of the many historic personages who were drawn to the serenity and natural beauty of the island of Capri. The building is now owned by the Centro Caprense Ignazio Cerio, and was restored by a group of volunteers from the island. 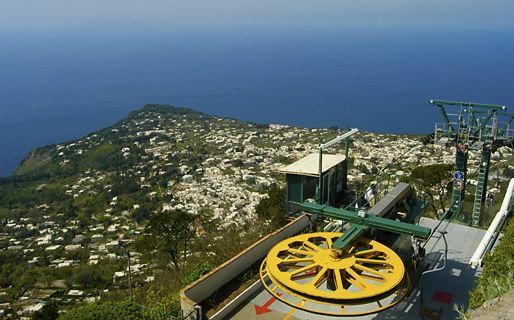 After a stop here, you can reach the center of Anacapri from Cetrella by following the historic mule track downhill about 20 minutes until reaching Viale San Michele. Unfortunately, the Church of Santa Maria at the hermitage of Cetrella is not always open to the public. 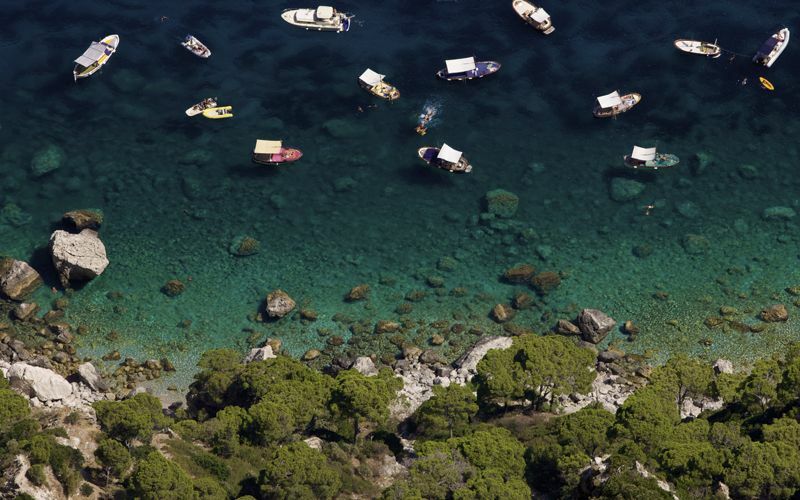 You can ask for the current opening hours from the tourist information office (+39 081 8370686).